I’m busy putting the finishing touches to the work going into my new Exhibition in Cowbridge before it goes off to the Framer. 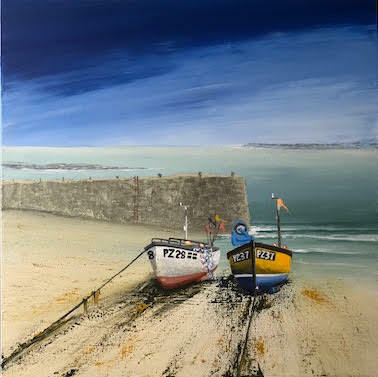 The Exhibition is running throughout May and there will be over 40 original works plus signed, limited edition prints. It will be open every day at Gallery 23B in the High Street and I’ll look forward to seeing you there! I’m very happy to once again be able to support the Grand Charity Auction being held in Llantwit Major. All proceeds from the Silent Auction will go to the Mayor’s 3 chosen charities of Headlines, Age Connects and St Illtud’s Church in Llantwit Major. Bids for the Auction can be made on-line via http://llantwitmajortowncouncil.gov.uk/2019/03/20/town-mayors-grand-charity-silent-auction/ or by collecting a form from the Town Council Office at the Town Hall. Closing date for on-line bids is 4:00 pm on 11 April 2019 & for bids made in person the deadline is 11:00 am at the Mayor’s Coffee Morning. Exciting New Venue in Penarth! I’m delighted to say that a selection of my work is now hanging, and available to purchase, in the fabulous award winning Fig Tree on Penarth’s Esplanade. 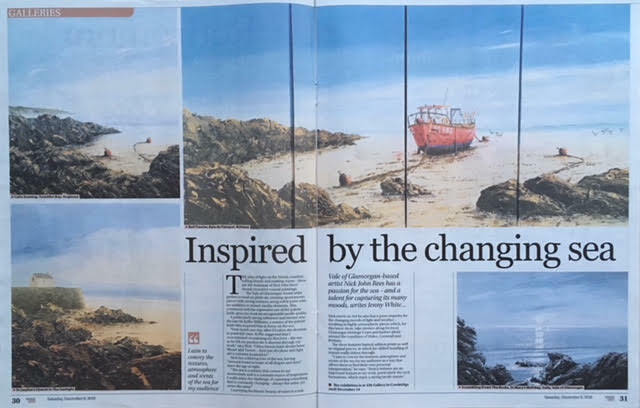 I’m delighted to say that my work has been featured in the award winning Western Mail Weekend magazine! The article explained how I like to work and what inspires me and I must say that I’ve been overwhelmed by the response it’s generated! I’m really looking forward to returning to 23B Gallery in Cowbridge High Street 10 – 24 December following the success of my last solo Exhibitions there! The countdown is on and lots of work has gone to the Framers ready for the Exhibition so here is a sneak preview of some of the work that will be on show. 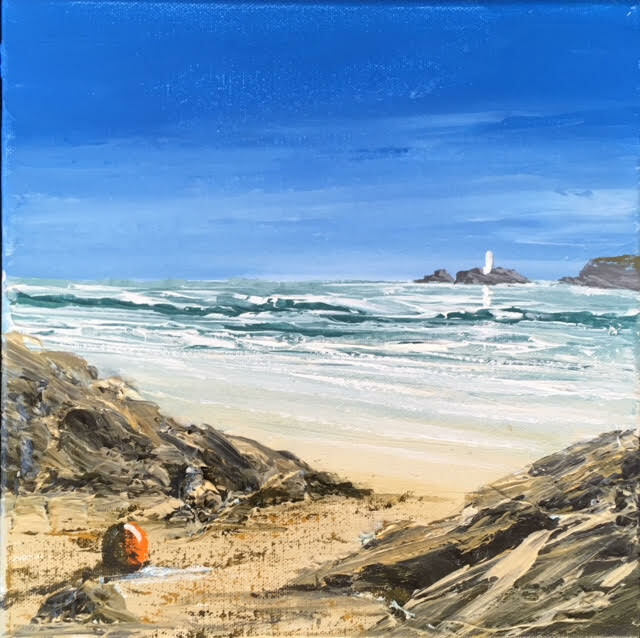 Don’t forget an original painting or signed, limited edition print makes a perfect Christmas present for the person who has everything!! I’m delighted to extend a very warm invitation to the private viewing of The Albany Gallery’s Exhibition on Thursday 15 November 5 – 8 pm at 74b Albany Road in Cardiff. It’s always a pleasure to exhibit at such a longstanding & prestigious Gallery so I’m very much looking forward to it. The Exhibition runs 15 November 2018 – 12 January 2019 and is the perfect opportunity to pick up a Christmas present for the person who has everything! 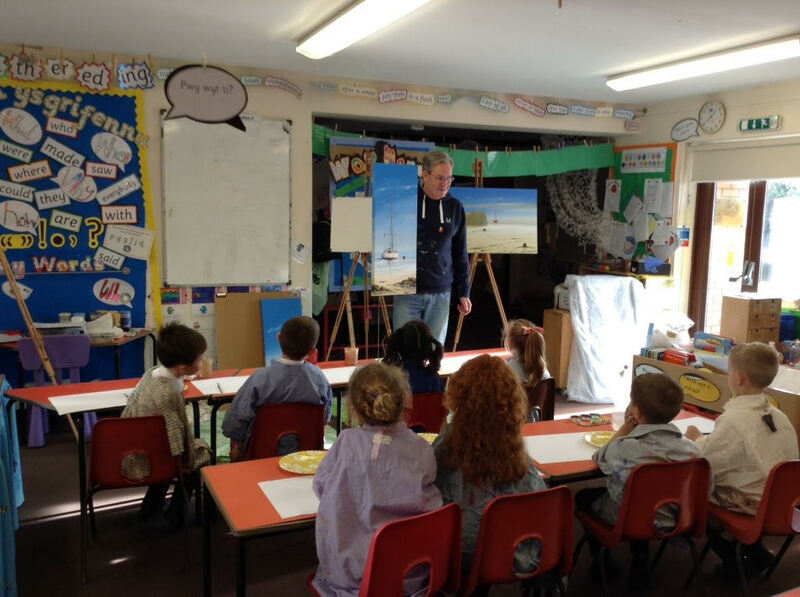 BUDDING ARTISTS OF THE FUTURE! 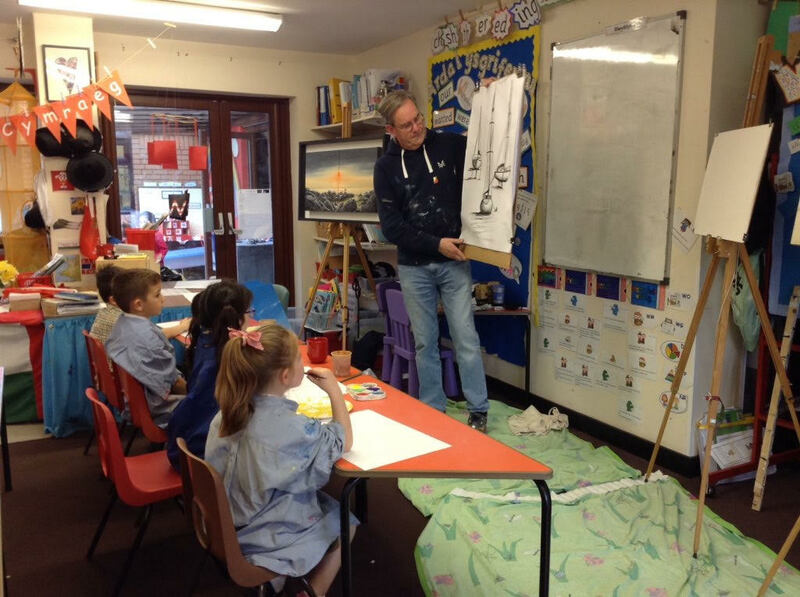 I was delighted to be invited by All Saints Primary School in Barry to visit and work with Years 1 and 2 on their art project. 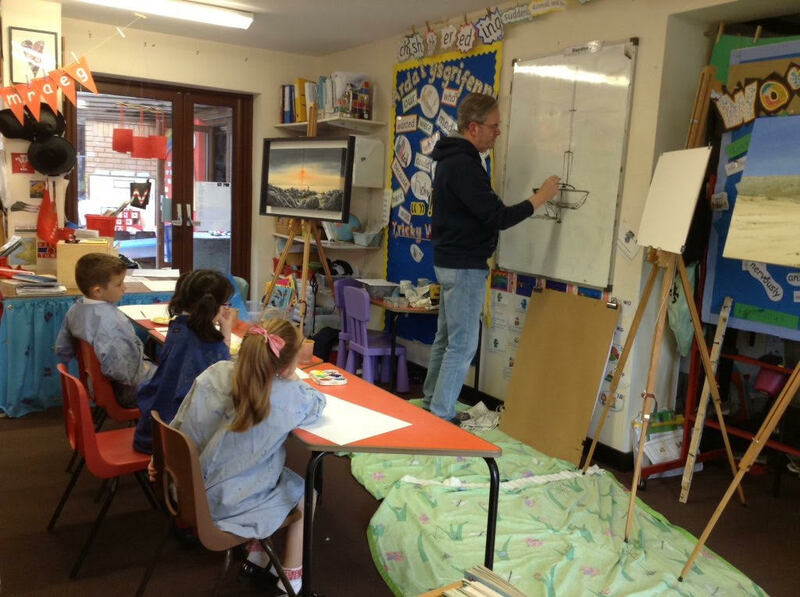 It was great fun working with everyone and very exciting to see their finished artwork – wonderful talents and imagination! Well done everyone! 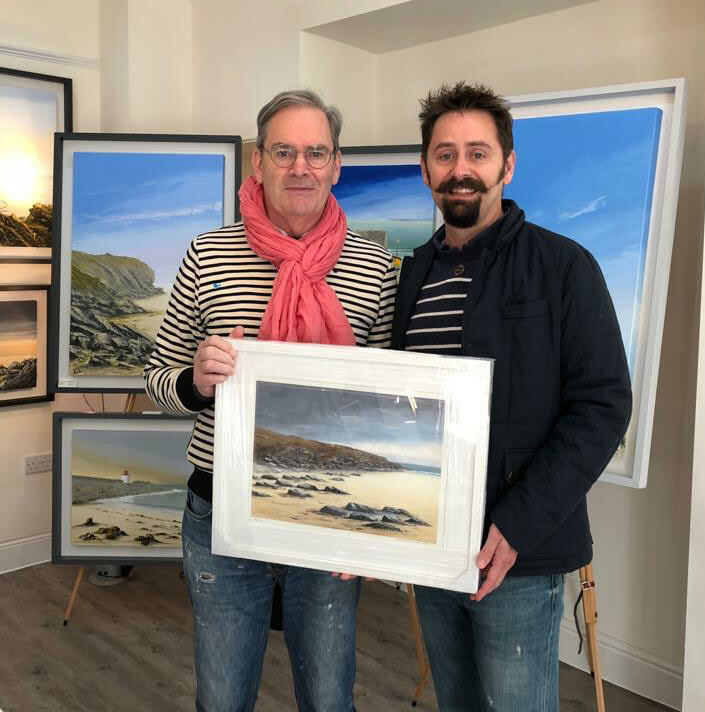 I was very pleased to be able to help the Movember Foundation Charity Ball which is being held at The Bear Hotel in Cowbridge by donating a signed limited edition print of Southerndown for auction on the night. Movember is a great cause which raises money to tackle prostate & testicular cancers as well as supporting mental health and suicide prevention for men. GREAT BRITISH HIGH STREET AWARDS! 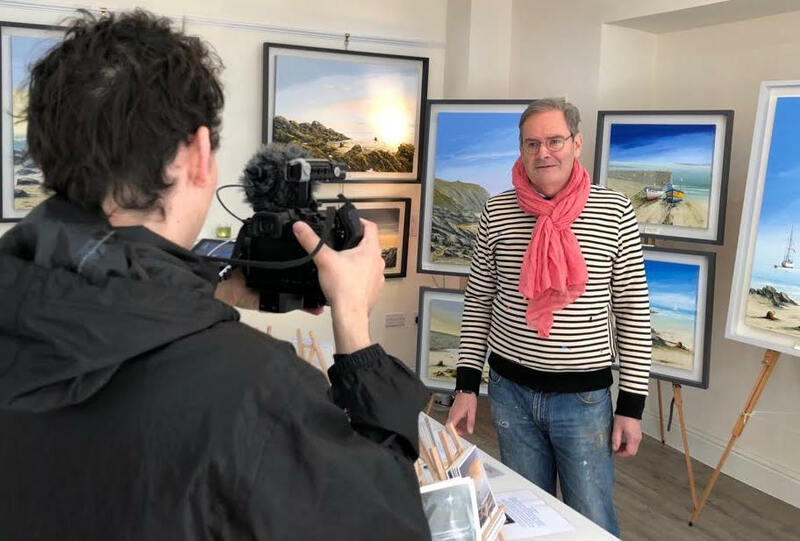 I was really pleased to be invited to take part in the judging event when Cowbridge was shortlisted for the Great British High Street Awards. As Cowbridge was successful in reaching the final stages of the competition the judges visited to see for themselves what a vibrant High Street it enjoys and to illustrate (no pun intended!) the diversity, I was invited to hold drawing demonstrations throughout the day. I was pleased to accept and ended up being filmed as you can see! Fingers crossed the town is successful in its bid!